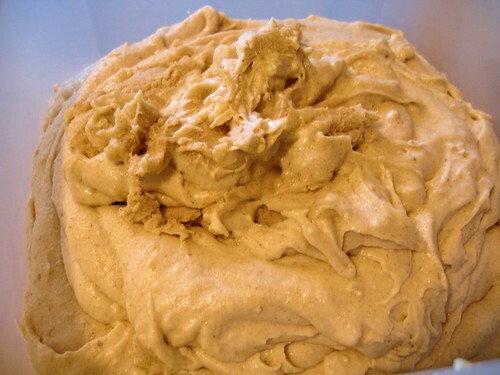 Last year (and maybe the year before too) I posted the recipe for the Hot Buttered Rum Batter that I make every year. Well, it’s time to make it again and this time I’m going to show you the step by step photos for the (super-easy) process. 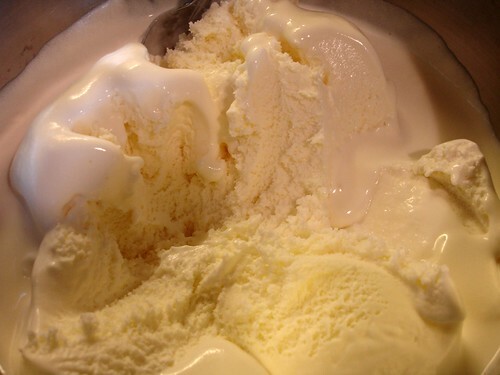 Before starting to mix all ingredients, take 1 quart of ice cream and let it sit out until it’s very soft and liquid-y. 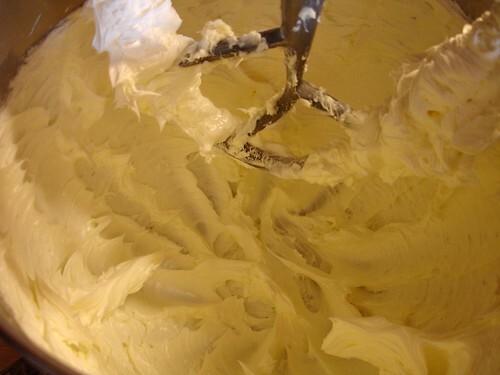 Then, cream 1 pound of butter until it’s light and fluffy. 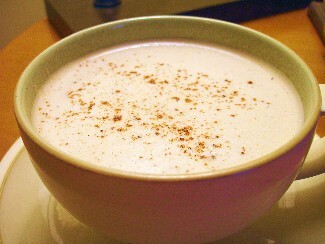 Next add 1 pound of brown sugar, 1 pound of powdered sugar, 2 tsp of nutmeg and 2 tsp of cinnamon. Mix with the butter until thoroughly incorporated. Add the ice cream and completely incorporate. You’ll need to scrape down the sides of the bowl a couple times as the ice cream will chill the butter mixture somewhat and it will stick to the sides of the bowl. 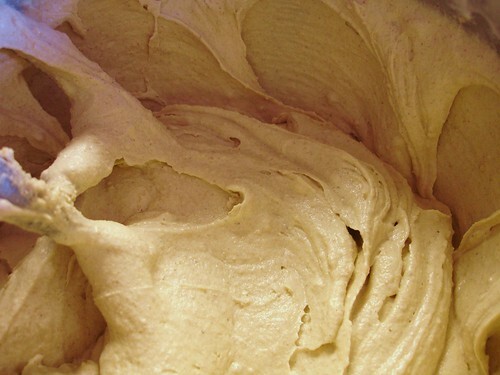 The finished batter will be smooth with maybe a few little butter balls – these should be very small though. 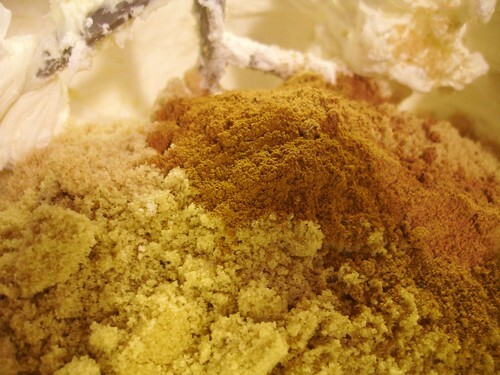 Put the batter in a freezer container and store in the freezer until ready to use. To make a Hot Buttered Rum, take a very heaping soup spoon (from your flatware service) of the batter and put it in a cup with 1 shot of rum – I prefer golden rum. Mash it around until the batter softens up. Fill the cup with boiling water and stir. Sprinkle with a little grated nutmeg. Adjust the amount of batter/rum/water based on cup size and your personal preference.